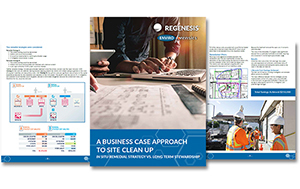 Regenesis Remediation Services (RRS) recently completed an in situ remediation project at a site adjacent to Lambeau Field, home of the NFL’s Green Bay Packers. The environmental cleanup effort was focused on chlorinated solvent contamination in groundwater which resulted from operations at a former auto repair facility and accompanying parts degreasing processes. 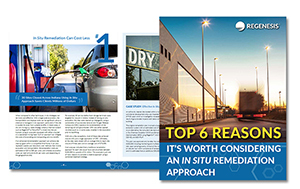 Chlorinated solvents such as perchloroethene (PCE) and trichloroethene (TCE) are particularly effective at removing organics such as oil, grease and dirt from metal surfaces. Unfortunately, spills and the improper handling/disposal of chlorinated solvents can pose a threat to human health due to resulting groundwater and soil contamination. 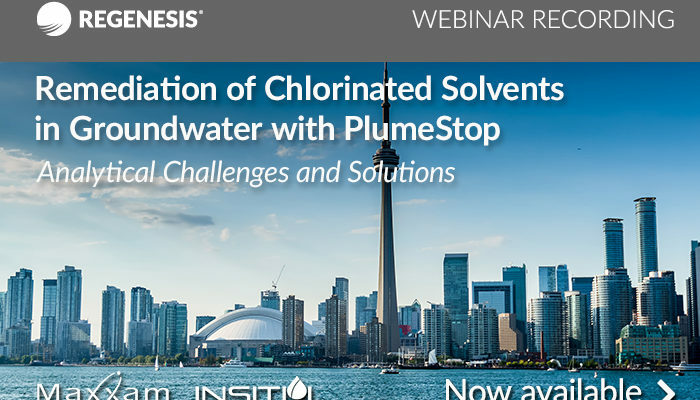 At this site in particular, a relatively old chlorinated solvent release resulted in groundwater contamination leading to an exceedance of the state regulatory Preventive Action Limit (PAL). 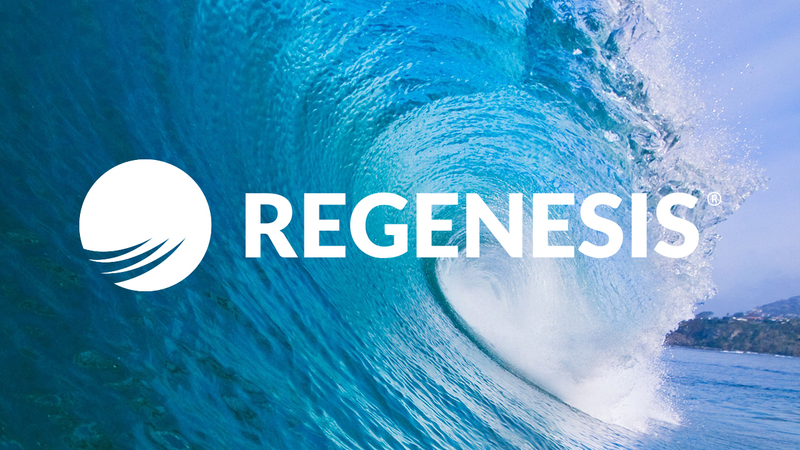 The experienced application team at RRS was contracted to treat the source area through the application of two proven and cost-effective in situ remediation technologies, 3-D Microemulsion®, an injectable electron donor and Bio-Dechlor INOCULUM® PLUS, a specialized bioaugmentation culture. These technologies are designed to stimulate naturally occurring biological communities which in turn anaerobically degrade problematic chlorinated solvents. At this site RRS teamed with a local direct-push contractor to apply 3D Microemulsion and BDI Plus into a silty-clay subsurface from 7’ to 15’ below ground surface. 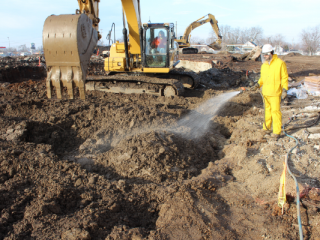 This in situ remediation project was approved and permitted by the State of Wisconsin, Department of Natural Resources. In the photo you can see the custom RRS injection trailer which houses specialized equipment used for mixing, batching and applying a range of Regenesis’ remediation amendments. For more information about Regenesis Remediation Services contact Scott Mullin at smullin@regenesis.com or by phone at 630-319-0836.